Saturday, February 11th was a historic night of milestones in the struggle for equal rights and social justice. It was the 77th birthday of reggae icon Bob Marley. It was the 27th anniversary of the release of Nelson Mandella from prison. 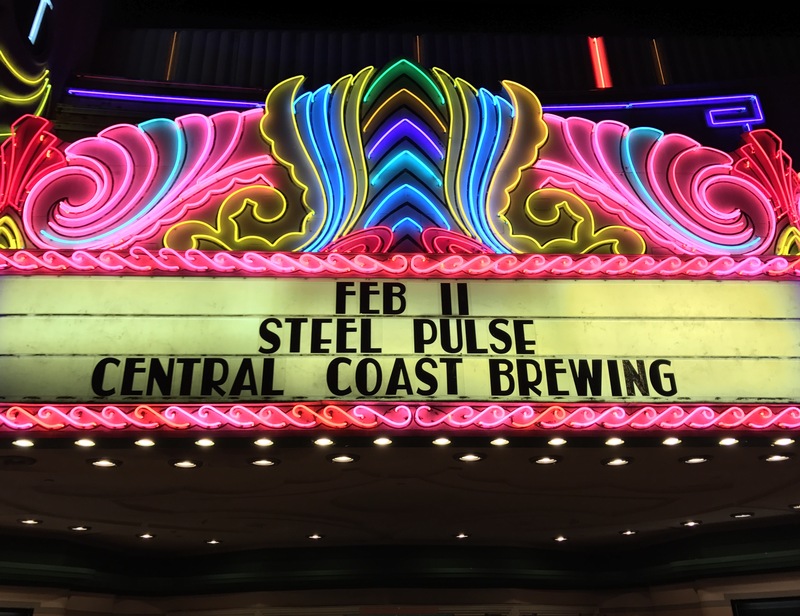 And, for fans at the sold-out concert at the historic Fremont Theatre in San Luis Obispo, California, it was perhaps their once in a lifetime opportunity to see socially conscious reggae legends Steel Pulse perform in their town. 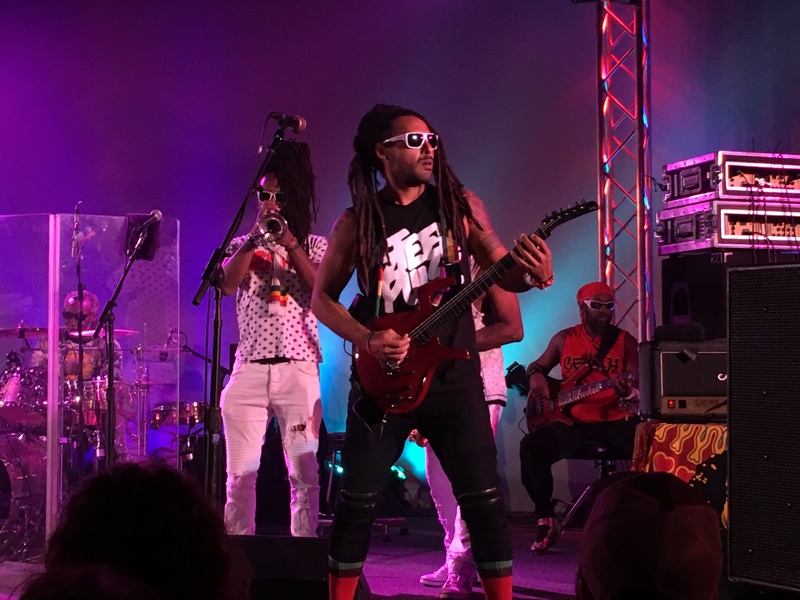 Formed in 1975 in a city near Birmingham, England, Steel Pulse is widely regarded as one of the most influential reggae acts of all time. 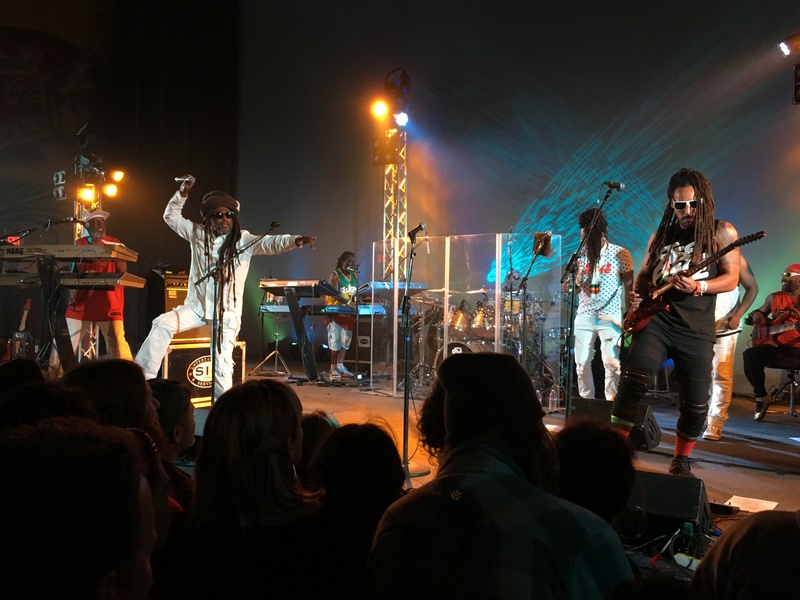 Like Bob Marley, Steel Pulse has been able to transcend social and cultural barriers to appeal to fans of all musical inclinations across the globe. One detail about their history that is of particular interest to me personally was their early crossover appeal during the British punk and ska movements in the late 70’s, performing at fests such as “Rock Against Racism” alongside the Clash and Buzzcocks (see our interview with Steve Diggle here). They also toured with bands such as XTC and the Stranglers (see our interview with Hugh Cornwell here). 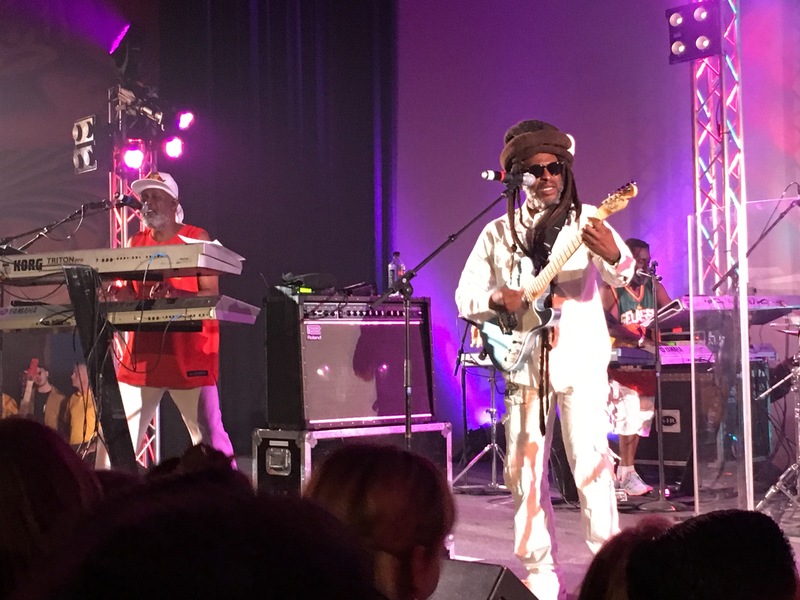 Steel Pulse’s social and political awareness were consistent with the burgeoning 2 Tone and political punk bands at the time, espousing a message of hope, unity and equality. 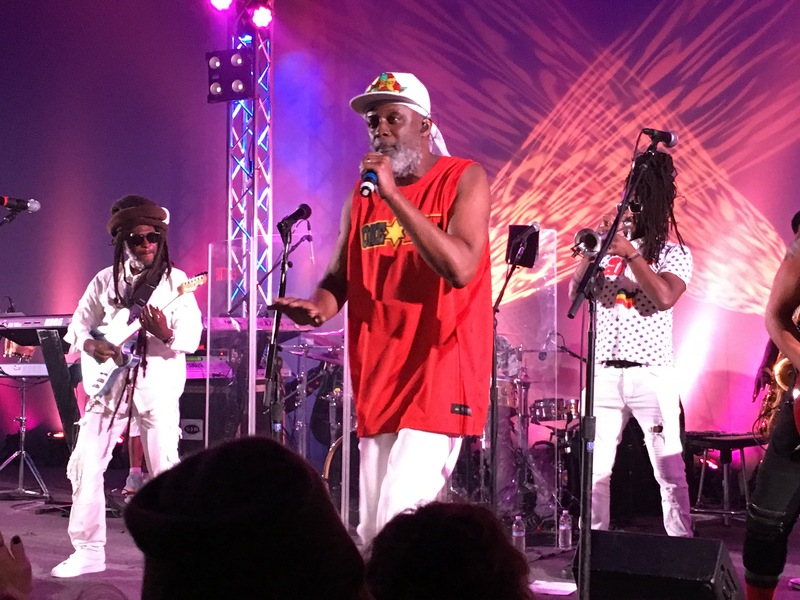 In fact, in other recent interviews that I’ve done with Fishbone and the Selecter, Steel Pulse came up as a major influence for both bands during their formative years. 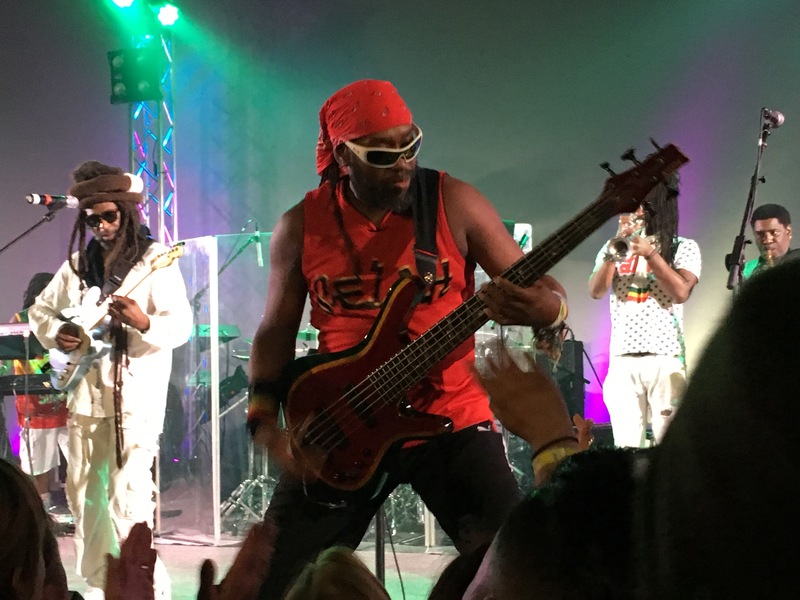 As such, the historic legacy and influence of Steel Pulse is well documented. 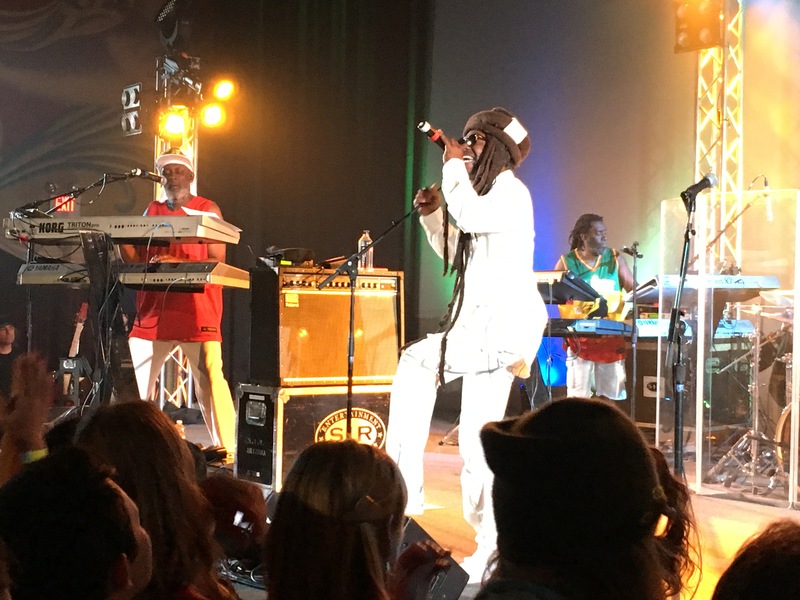 In many respects, Steel Pulse’s lyrical content and outlook are as relevant now as they were over four decades ago. Whether through their commentary on discrimination, racism or intolerance, our current tumultuous world appears ripe for additional commentary by the band. In the age of political isolationism and fearmongering, songs of hope and inspiration sometimes feel in short supply. Luckily for fans in attendance, the band’s performance was inspired and good music was bountiful. The band performed an animated, buoyant 15 song set. Frontman David Hinds belted out lyrics with grace and a big smile on his face. 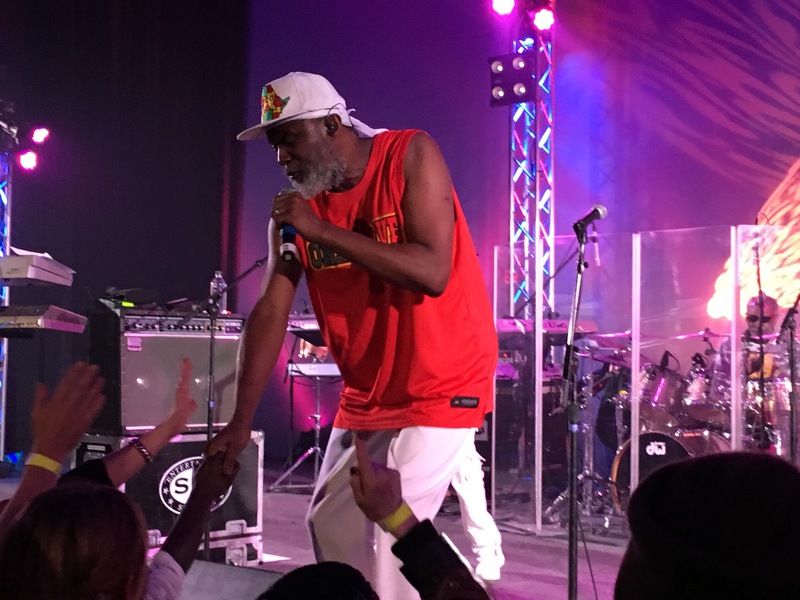 Keyboardist and fellow original member Selwyn Brown grabbed the mic on a number of tracks, interacting with the crowd. 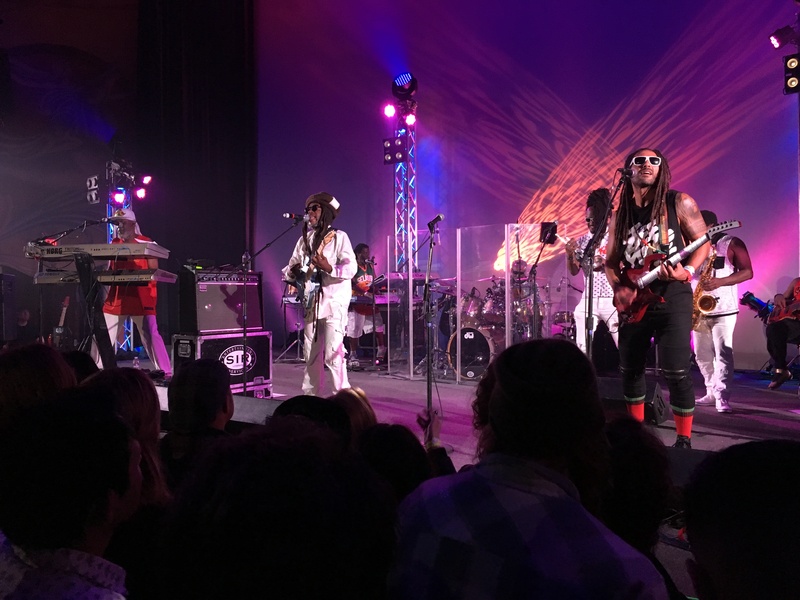 The band’s other stellar musicians rounded out the sound, with compelling funky bass lines, horns and adept instrumentation. 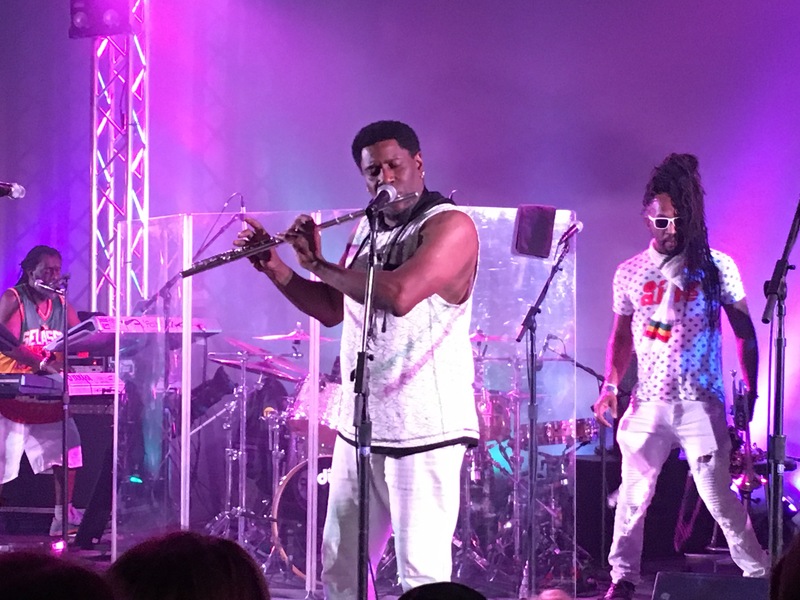 In addition to their lively stage presence, David Hinds addressed the crowd throughout the set. At one point David commented on the recent deluge of rain in California, saying, “You know what we say about the rain, it washes away bad things and brings good things.” David could just as easily been referring to the larger social and political “climate” in the world at large as he was commenting on the weather. He and the band also interjected contemporary subjects into their set, honoring Trevon Martin during their prescriptive, emphatic track “Put Your Hoodies On.” Their great performance of “Roller Skates” resonated with the crowd, particularly the chorus “Life without music, I can’t go…..” Other highlights included “Taxi Driver” and “Drug Squad” (where many people in the audience openly demonstrated their legal rights bestowed upon them by California’s recent decriminalization of marijuana). 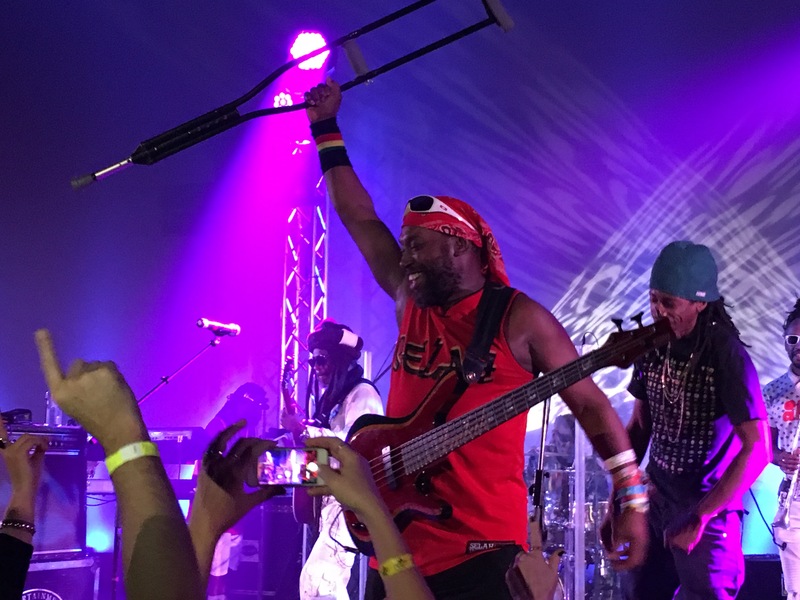 Also, at the end of the set, the band’s bassist Amlak Tafari (who had previously been sitting down playing due to an injured leg in a cast) managed to get up to the front of the stage to perform some inspired bass lines, at which point a fan in the front row who had a crutch held it up to Amlak in camaraderie, further demonstrating the transcendental power of music. It was a faith healing of sorts, Steel Pulse style. 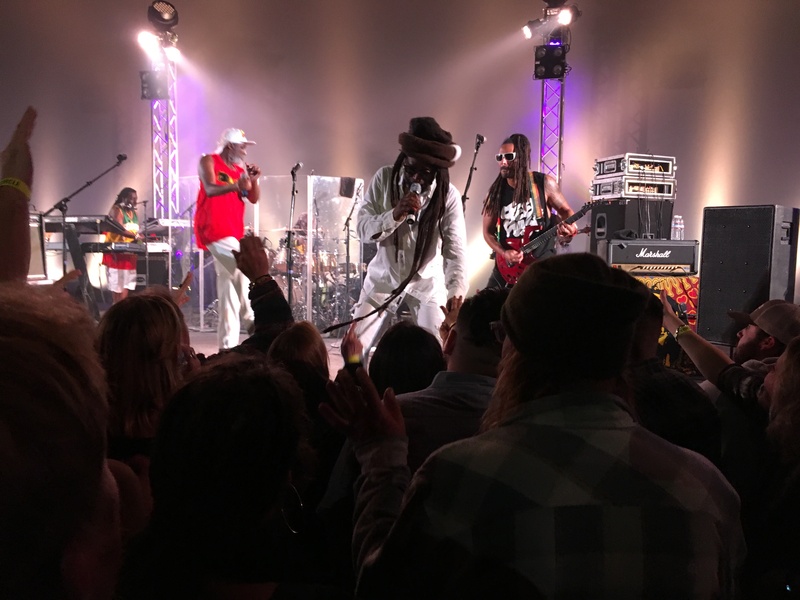 I can’t think of a more appropriate way to honor the legacy of the late great Bob Marley on his birthday than having had the pleasure of spending my evening with Steel Pulse and their irie fans. It was a high that I have yet to come down from! For the latest on the band (and their upcoming documentary entitled “Dreadtown: The Steel Pulse Story”) check out www.steelpulse.com.